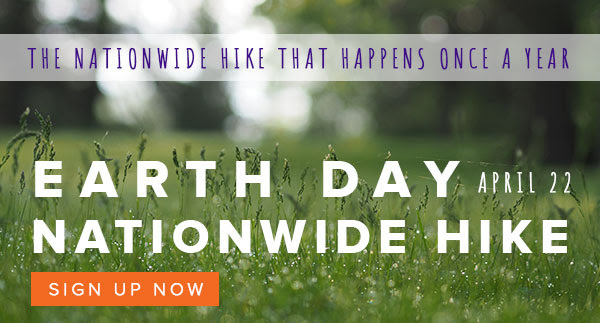 Celebrate our second annual nationwide Earth Day hike and get our exclusive 2018 T-shirt when you raise $30. Last year, nearly 1,000 people hiked in all 50 states raising nearly $54,000 for our planet. There’s still more coal plants to shut down, more cities to transition to renewable energy, and more work to do. This year, we’re upping our game to protect our planet: let’s raise $60,000 for Earth Day. Join us for year 2 by hiking in your corner of the world, and help us represent #EveryCorner. Create an Earth Day fundraising page. Raise $30 (by April 6 to guarantee arrival by Earth Day) and we’ll send you a T-shirt. Hike in your corner on April 22. Thank you for representing Team Sierra in Every Corner of the World.